Try on a headset, build your car, drop it on the moon. Some applications of virtual reality were obvious right from the start -- video games immersive VR video experiences were two obvious places to start. But for VR to be something that justifies, say, Facebook's purchase of Oculus VR, the technology would need to expand beyond those realms. At CES this year, Audi showed off an VR vision that now seems like an obvious and smart move: starting in Q2 of this year, select Audi dealers will let you on an HTC Vive or Oculus Rift as part of the buying process. The goggles will let you customize any one of Audi's 52 models in any way you like. You can see different color options, see how different packages change the look of the car, and you can walk around the vehicle to see all of its fine details. It's not dissimilar to the car configurators on auto manufacturer websites, but you can get much, much closer to the vehicle in VR. 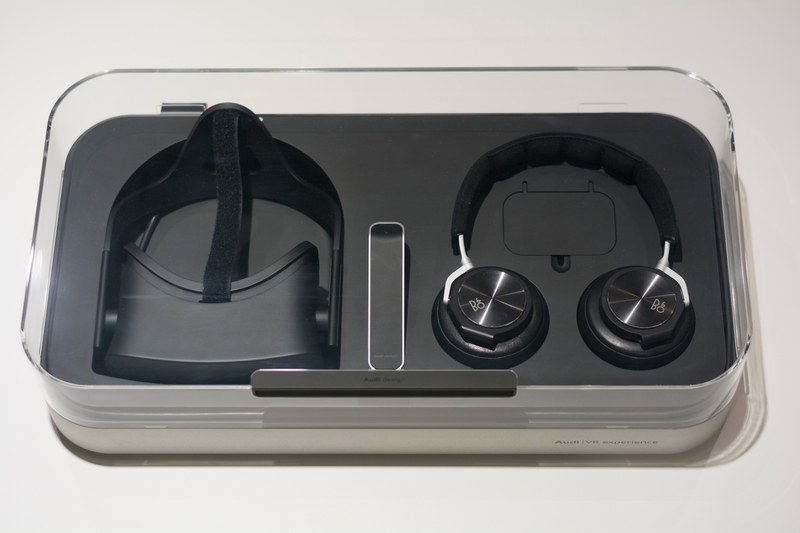 Dealers will be equipped with an exclusive-looking kit that contains the VR goggles as well as a pair of Bang & Olufsen headphones designed so you can hear the people around you talking to you as well as the sounds from the VR demo. Unfortunately, Audi didn't have the full configurator set up for its CES demos, but I still got to walk around the exterior of Audi's majestic R8, a car I could never hope to afford. The demo lets you open doors and the back engine compartment -- and since you're in VR, you can walk right through the car and shove your face into the engine to see what it looks like on the inside. You can also get a view from the driver's seat and look all around the interior of the car. It's a pretty stunning experience, as Audi spared no expense in getting its vehicles ready for their VR close-ups. The fact that you're looking at a render never quite escapes you, because the lighting and reflections off the cars just doesn't shine like it does in real life. But these renders are intricately detailed and show off Audi's vehicles very well. This level of detail will come in handy as you change the different options available to you to get your car exactly how you want it. Audi's put a lot of care into the experience beyond just the cars, as well. My first experience with the car was on a rooftop of a building located in Paris, and the view and sky all looked just as inviting as the car -- I spent plenty of time walking around the environment, looking at all the detail before focusing on the car. 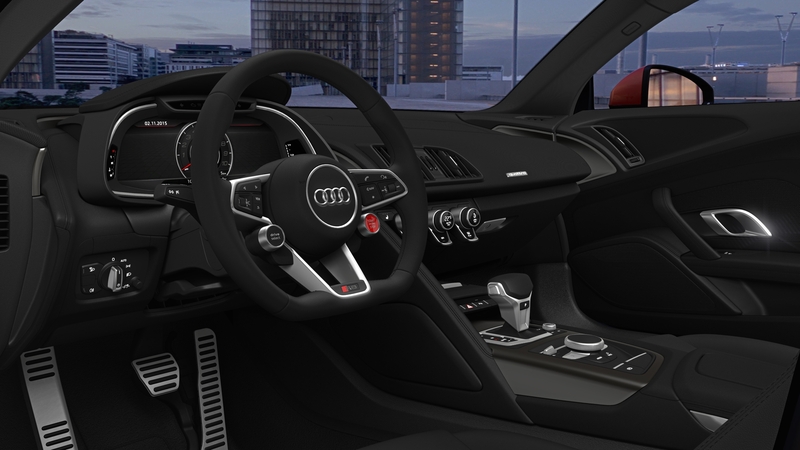 Audi representatives specifically said they wanted to make sure that everything about this VR experience was top-notch, as for a lot of its customers it could be the first time they ever try virtual reality. The company seemed keenly aware of the importance of making sure you don't introduce someone to VR with a poor experience. That focus on a quality experience extends into some realms that has absolutely nothing to do with buying or checking out a car. 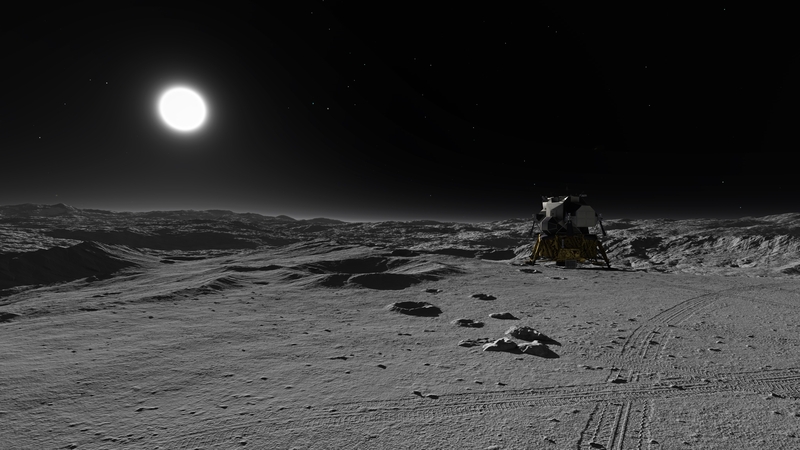 With the flip of a switch, I was whisked away from the Paris rooftop, my vision went dark -- and then I heard Neil Armstrong's words when he first walked on the moon as the HTC Vive I was wearing came to life, dropping me on the surface of the moon. I could look around and check out the Apollo landing site, complete with footprints in the lunar surface, and take in the majesty of the Earth setting off in the distance. There was no automotive tie-in to this experience at all, it was purely meant to impressive the user and show them a world they couldn't otherwise reach. 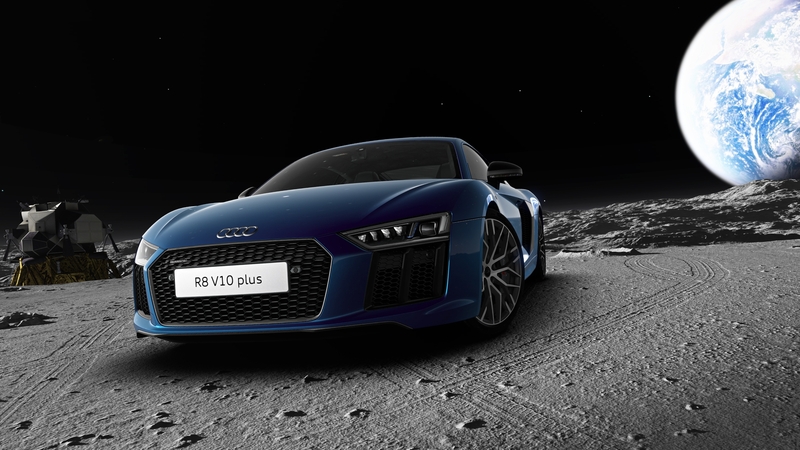 And then we dropped the R8 on the moon and I got to check it out there too. By the time this VR demo launches later this year, Audi will include a number of these purely experiential sequences as well as some that put you in the car while it's in motion -- someday, you may even be able to grab the wheel and drive around in VR yourself, though Audi's representatives said that would be a ways off. Still, this is one of the best VR experiences from a brand I've seen yet. it has a useful utility, it's a high-quality experience, and it's a lot of fun. I may never buy an R8, but getting to sit in one in virtual reality wasn't bad.